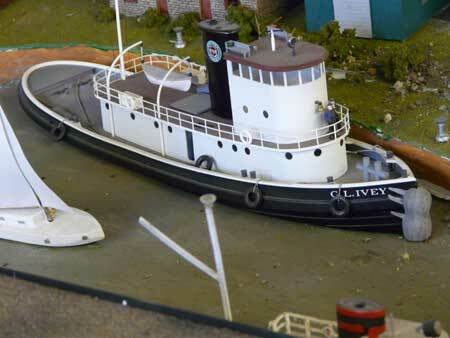 Fellow Nottawasaga Model Railway Club member, Bill Payne, took these pictures in the summer of 2008. 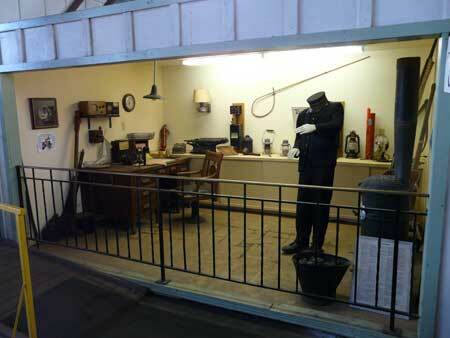 The museum's sign says "preserving our heritage since 1988". 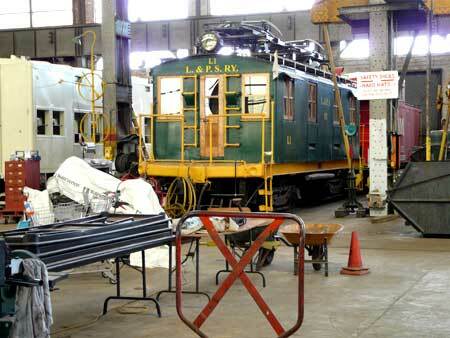 Volunteers are hard at work refurbishing the equipment. 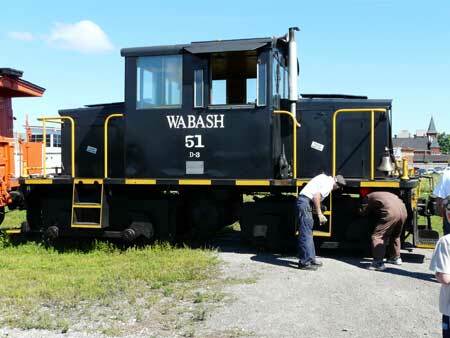 There are photographs here of CN5700 steam locomotive and tender being worked on in the shop and of a small diesel engine, Wabash 51. 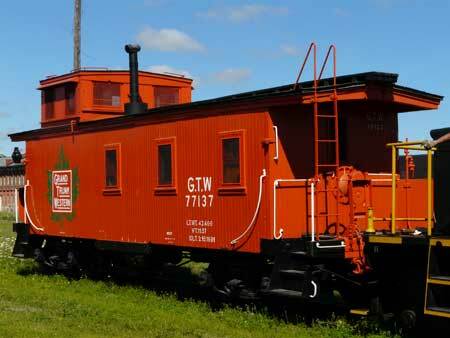 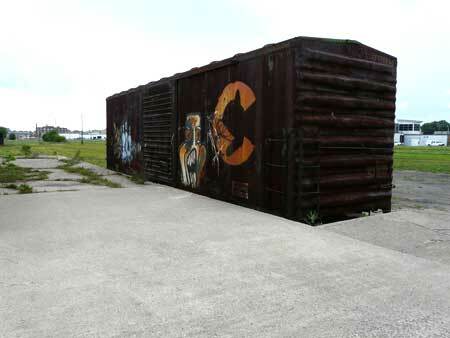 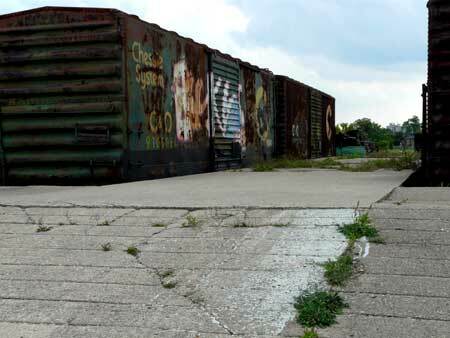 There are also photographs of GTW 77137 van (caboose) and a couple of boxcars covered with graffiti. 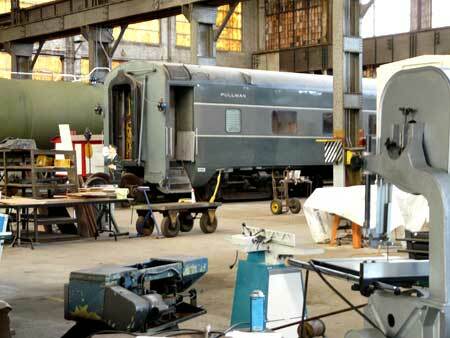 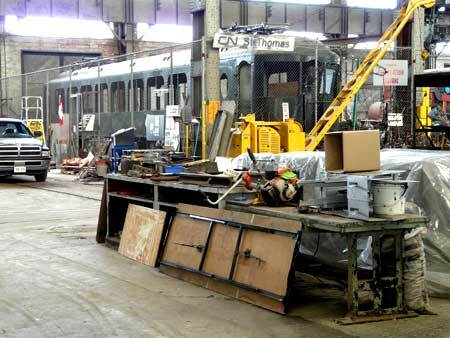 The St. Thomas shop used to have a transfer table to move work in and out of the shop tracks. 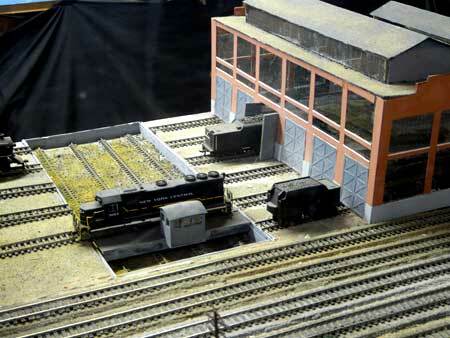 There's a photo of a model of the transfer table. 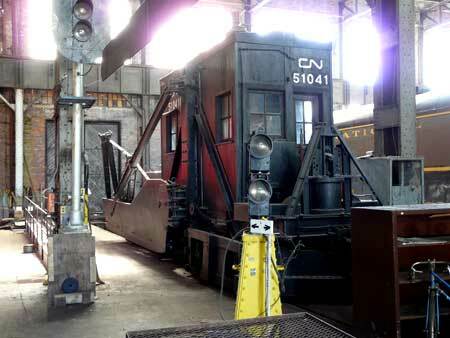 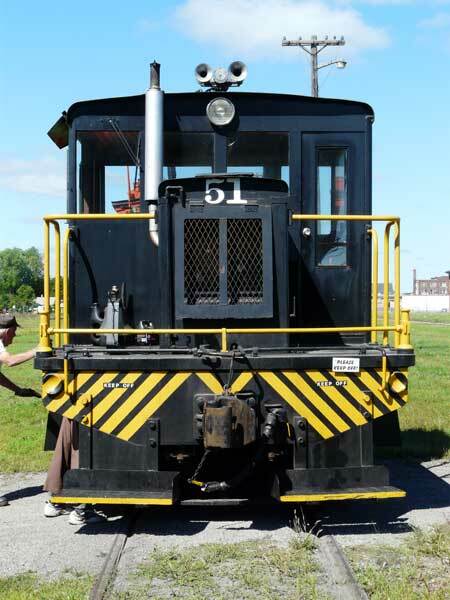 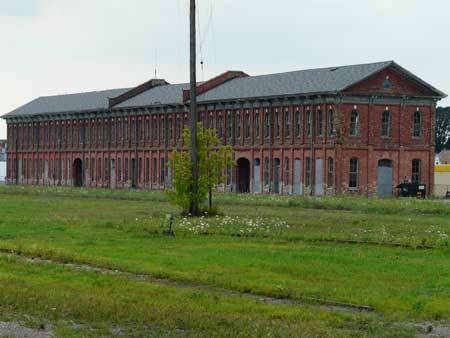 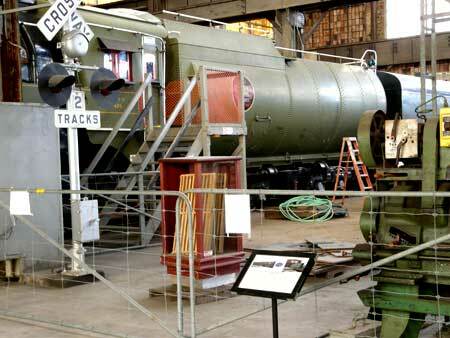 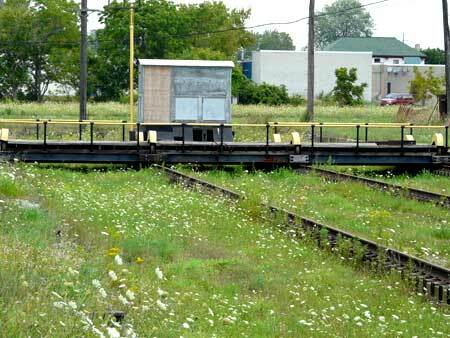 Go from "Train-museum-photos" to the CPR historic station at Labelle, Quebec. 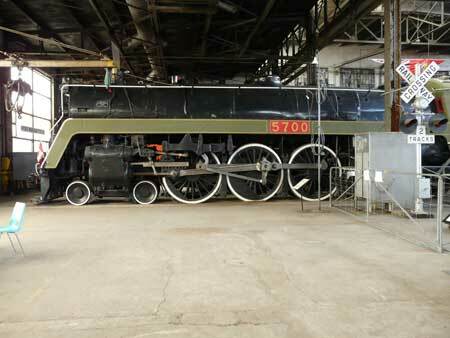 Return from "Train-museum-photos" to the Train Photos overview. 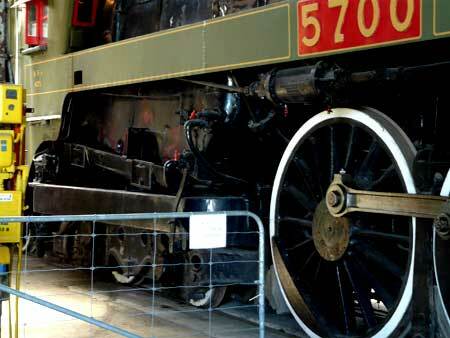 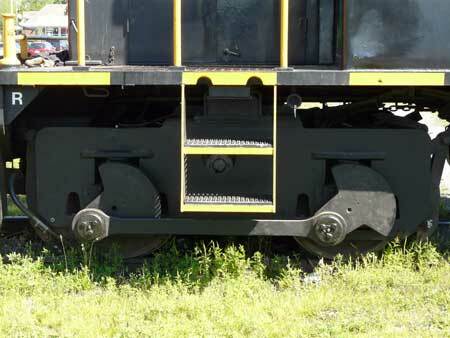 Return from "Train-museum-photos" to my Home Page.